I am so excited to see these labels on sale! We’ve used these labels for back-to-(home)-school for as long as I can remember. They are versatile, easy-to-use, and stick very well. 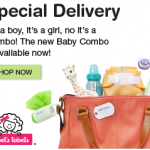 Mabel’s Labels Little Kid School Combo – This brand new combo features extra-durable, waterproof labels and tags designed especially for little kids going to school for the very first time. Perfect for backpacks, clothes, lunch containers, shoes, toys and more, these labels will keep all your child’s little things coming back home at the end of the day. Mabel’s Labels Ultimate Back-To-School Combo – This best-selling combo includes all the durable, waterproof labels needed to keep belongings out of the lost and found. Perfect for backpacks, lunch containers, clothes, pencil cases and so much more, these labels are a must have on your back-to-school shopping list! Mabel’s Labels Stylish Scholars Combo – Featuring a range of modern, refined designs, our Stylish Scholars Combo is perfect for students of all ages. Use these sophisticated labels on school supplies, water bottles, tablets, chargers or cell phone cases—and much more! 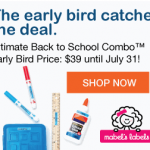 Mabel’s Labels is offering early bird pricing with $5 off their new Back to School Combos! These smart new labels are only available now through September 30th, so get your combo pack while they’re in stock. 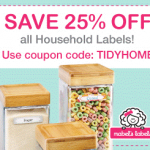 Share the post "$5 off NEW Mabel’s Labels Back to School Products"